If you told me the American kestrel was your favorite bird, I’d say you’ve made a fine choice. Habitat scarcity isn’t the only issue. Kestrels depend upon pre-existing cavities for nesting, such as old woodpecker holes. As Eastern bluebirds and red-headed woodpeckers know all too well, such home sites are often usurped by European starlings, a relentless non-native competitor. Fortunately, kestrels respond to well-placed nest boxes. With that in mind, the Forest Preserve District of DuPage County initiated a kestrel nest box program this spring aimed at boosting the local kestrel population in select preserves. Seven all-cedar, pole-mounted boxes were installed by the District last month. “I looked at sites featuring large, open, short-structured grasslands with some perching trees nearby,” said Brian Kraskiewicz, District ecologist and kestrel box project leader. Preserves where kestrels have been seen in recent years received priority. That includes Springbrook Prairie in Naperville, which received two nest boxes. Blackwell (Warrenville), Danada (Wheaton) and Greene Valley (Naperville) are among the other chosen sites. Preserve District of DuPage County. Raptors require larger territories so the distance between boxes must be at least a half mile. Another limiting factor, Kraskiewicz said, is the presence of bluebirds. Kestrels and bluebirds prefer the same open habitat and if their nest boxes are too close together it raises the possibility of bluebirds becoming falcon food. The District formalized a successful bluebird nest box program in 2000. Kestrels will indeed prey upon birds, but their usual diet is large insects and small mammals. When I met Kraskiewicz he was installing the kestrel box at Blackwell, adjacent to the preserve’s native plant nursery. The District is hoping a kestrel pair will take up residence and help control the voles and mice that damage the nursery stock. The box at Blackwell is not visible to the public but others are. Observers are urged to keep their distance and give the kestrels space if nesting occurs. And “if” is the key word. Kraskiewicz said he hopes at least one box is occupied by kestrels this season but knows it might take a year or more to claim success. Plenty of science-based protocol guides the construction, placement and monitoring of nest boxes, but getting a kestrel pair to move in and raise a family is still hit or miss. Fermilab in Batavia offers a strong measure of hope. Through Fermilab Natural Areas, a volunteer organization, the site ramped up its kestrel nest box program in 2012, adding 10 additional houses. The site now maintains and monitors 12 boxes. Five of them were successful in 2015, according to Ryan Campbell, Fermi’s ecologist. The Forest Preserve District of Kane County has about 30 kestrel nest boxes in the field. Occupancy was just 8% in 2015 but the District remains optimistic. It checked with Audubon chapters around the Midwest with similar programs and learned that kestrel box programs often have low success in the first few years, followed by dramatic improvement once a few boxes become occupied. Back in DuPage, Kraskiewicz plans to be patient, and he’s leaving the door open for growth. He thinks the nest box program would lend itself nicely to Eagle Scout projects, and the DuPage Birding Club is a potential partner as well. 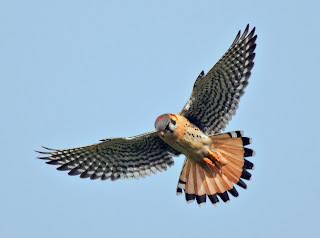 Those wishing to see an American kestrel this spring or summer have options. Best bets are Springbrook Prairie, Greene Valley (near the landfill) and Fermi. The farmlands of Kane County also are worth checking. Watch for a bird the same size and shape of a mourning dove on utility lines and other elevated perches. Kestrels do a lot of sitting and tail-bobbing as they watch for prey in the grass below. Kestrels are aerial hunters, too. I’ve seen them hang in the air on flapping wings, 25 feet up, waiting for just the right moment to drop down on prey. This hovering technique is unique among falcons. Kingfishers also do it. Once, in 2007, a kestrel perched at the top of a tree two houses down from mine. It stayed for several minutes, pumping its tail and thinking about where to go next. That neighborhood kestrel was quite a surprise. I was thrilled! At the time, however, I was barely aware of the species’ declining local population. It’s encouraging to see steps being taken in and around DuPage County to conserve and raise awareness of this small and beautiful raptor. 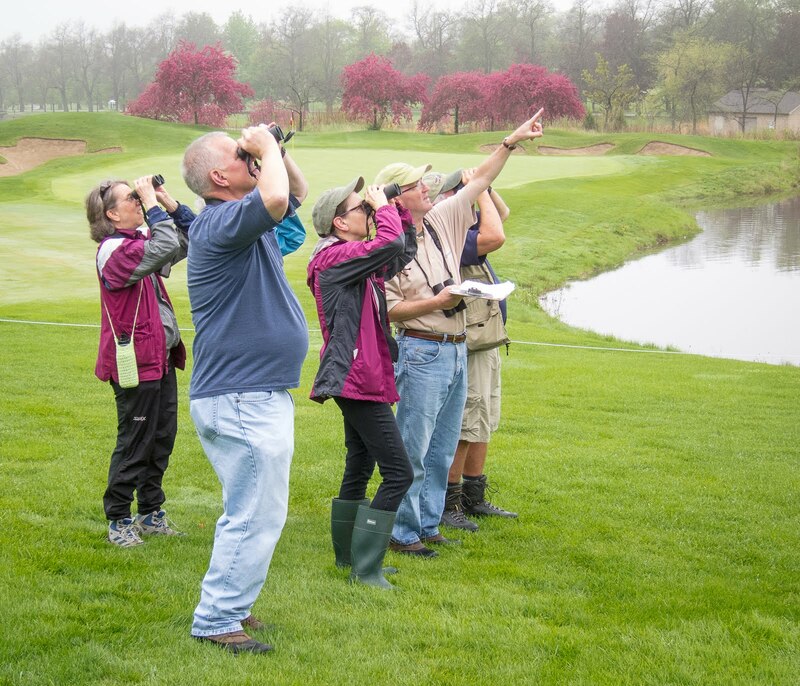 It started during a local bird walk, when conversation somehow shifted to Minnesota and the Sax-Zim Bog Winter Birding Festival. We dreamed out loud of the birds we might see, provided we could summon the courage to visit Duluth in mid-February. By the end of the walk we were talking hotels and rental cars. Certain places, birders know, are associated with special birds—species you don’t dare miss if you go. Think puffins in Maine, trogons in Arizona and Kirtland’s warbler in northern Michigan. Target birds, all of them. 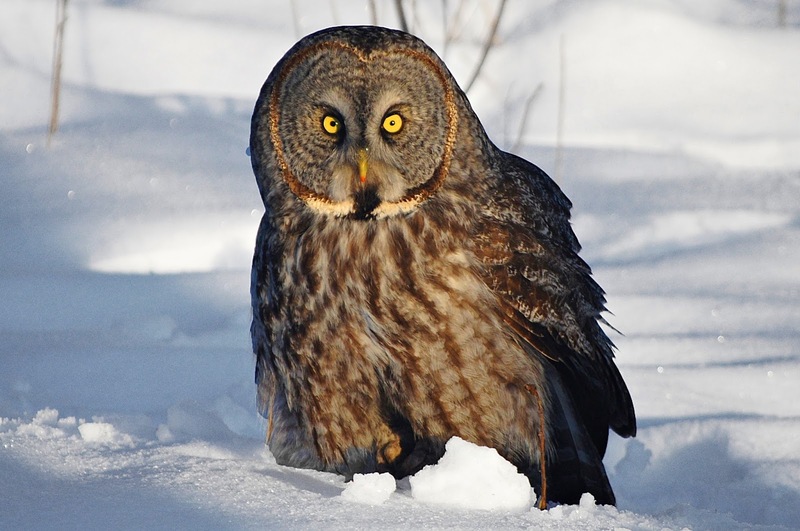 At Sax-Zim Bog it’s the great gray owl, the festival’s main attraction. 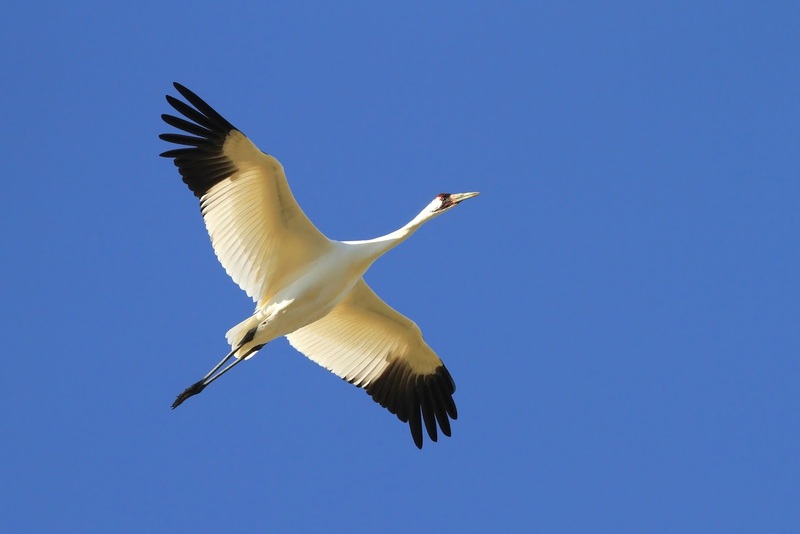 The bog isn’t the only place in the U.S. to see one, but for Midwest birders it’s the nearest opportunity. Adding to the lure, Sax-Zim offers a host of other coveted species not available in DuPage such as boreal chickadee, hoary redpoll, gray jay, black-billed magpie, pine grosbeak, evening grosbeak and ruffed grouse. Northern hawk-owl, black-backed woodpecker and Bohemian waxwing are possible, too. But you must visit the bog in winter, when these and other avian goodies are most accessible. That makes Sax-Zim one of the coldest hotspots a birder will ever experience. Fearing nothing but a few lost digits, six of us headed north on Feb. 11. Provisions included all manner of high-power optics, mountains of winter apparel and boots, and enough packets of HotHands to start a bonfire. 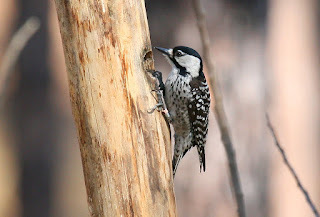 Our 500-mile trek to Duluth called for a slight detour to Galesville, Wis., where a Lewis’s woodpecker had been visiting some private bird feeders since late November. It’s quite rare for a Lewis’s to appear so far east. We had to try. Meiborg, Joan and Ed Campbell, Chuck Berman and yours truly. Well, the hour in Galesville was a cold reminder that birds don’t always cooperate. The locally famous woodpecker never showed. ﻿﻿﻿﻿Despite the Lewis’s outcome, spirits inside our rented Town & Country remained high. We sensed that good things were ahead, including one in particular with piercing yellow eyes and a feathery white “bow tie” under its chin. 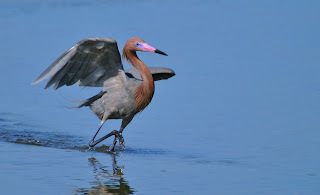 ﻿﻿﻿﻿﻿﻿﻿The Sax-Zim Bog Birding Festival is limited to about 150 visiting birders and sells out early. This year was the 9th annual fest and the tiny host community, Meadowlands, Minn., really rolls out the red carpet. 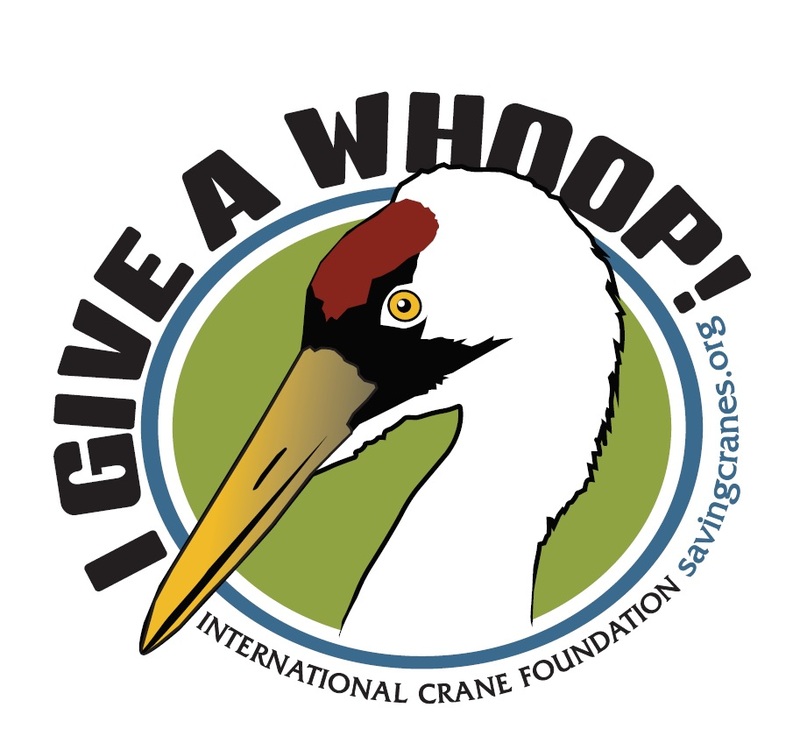 The event is good for the local economy and also serves as a fundraiser for Friends of Sax-Zim Bog, a habitat conservation group. 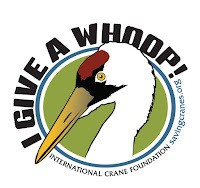 Festival attendees sign up for all-day field trips aboard school buses “chaperoned” by professional birding guides. There’s no hiking, just stops along the roads and visits to well-stocked feeding stations. Naturally, task No. 1 was to find a great gray, North America’s largest owl. The customers wanted one and the guides knew it. They’d prepared by scouting the bog on the days leading up to the festival. Owl numbers were down this year but they’d seen a few and mapped the birds’ locations. The bus rumbled off and the search was on. Spotting anything from a moving bus with frosted windows is difficult, let alone a bird that blends in perfectly with its boggy surroundings. You hope for a great gray to fly across the road or assume a conspicuous perch. No such luck. Two hours of nothing. 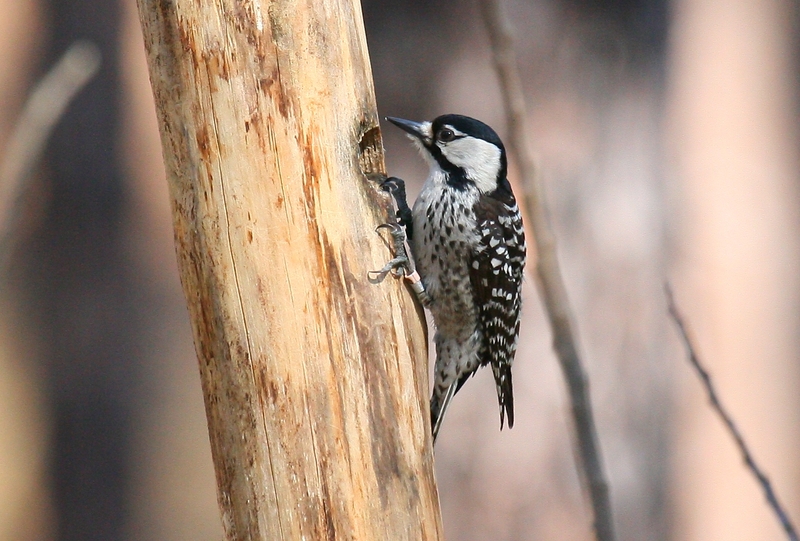 The bird everybody most wanted to see was playing hard to get, like that woodpecker in Galesville. But the first festival day was hardly a bust. A mid-morning stop at the Sax-Zim Bog Welcome Center (on Owl Avenue) produced pine grosbeaks and a hoary redpoll along with gobs of common redpolls. Other feeders along the route yielded boreal chickadee, gray jay and evening grosbeak. We saw magpies picking on a roadside deer carcass and a northern shrike patrolling the scrub. And look, up in that tree, a sleeping porcupine! When the bog trip ended we quickly transitioned from bus to van, determined to spend the remaining two hours of daylight looking for the elusive great gray. Same roads, different vehicle. But again, no luck. At least the day ended well with our first sightings of ruffed grouse. 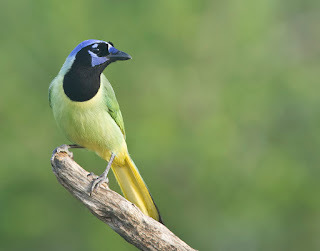 Day two featured a birding tour of Duluth and surrounding areas. North of the city, in Two Harbors, we scored big with a long-tailed duck and harlequin duck on icy Lake Superior. Later we found a snowy owl in Superior, Wis., and a gyrfalcon in downtown Duluth. An aptly named sign in the bog. The eight-hour Duluth trip terminated back at Sax-Zim so once again we piled back into the van to resume the owl prowl. We learned a great gray was seen earlier, on Zim Road, so now we had a bit more hope. Off we went to that section of the bog and began a slow cruise—car-birding rubberneckers desperate for a fix. The few other vehicles on the road contained birders on the same mission. The black spruce-studded landscape looked beautiful in the fading light, but we all felt the pressure. Time was running out. We could not return in the morning. This was our last chance. Then, up ahead, an encouraging sight: cars on the side of the road! We pulled up and quickly spotted an unmistakable large-headed silhouette in the distance. A great gray was perched high, no doubt craving a vole supper. 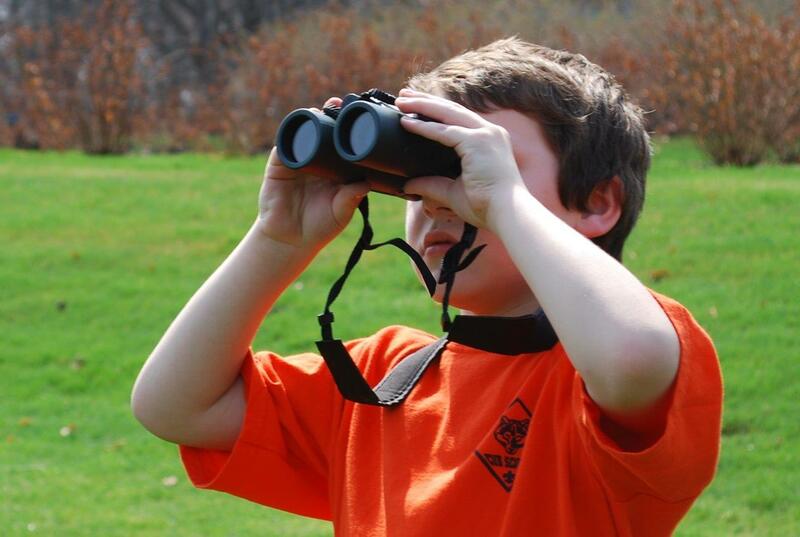 With binoculars we could easily see the owl’s plumage, yellow eyes and slowly rotating head. Moments later we copped even better views through the spotting scopes. Dancing, laughing, high fives and maybe a tear or two. Hugs all around. I know, embarrassing, but we’re birders. We’d done it, with 10 or 15 minutes to spare. What a bird, and what a lifer. The Sax-Zim Festival, you should know, is more than just birding from a bus. Dinners and guest speakers are part of it, too. Unfortunately, the evening activities started so early we skipped them, choosing to bird until darkness instead. 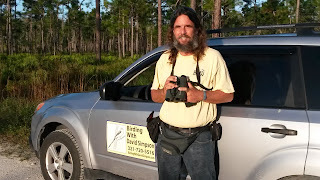 We made the right call, but I do regret missing the talks by Al Batt, a personal favorite, and Dr. James Duncan, a world-renowned expert on great gray owls. The night before our triumph in the bog, at a restaurant in Duluth, the six of us had taken turns recounting our best moments in birding. The stories flowed—a fun ending to a great day, even though we’d failed in what we then figured was our best chance to spot the region’s signature bird. Twenty-four hours later we had a new story to tell—the Miracle on Zim Road. If we’re ranking best moments, this one will be hard to top.